that rival Airliners around the world. Call for more information today. 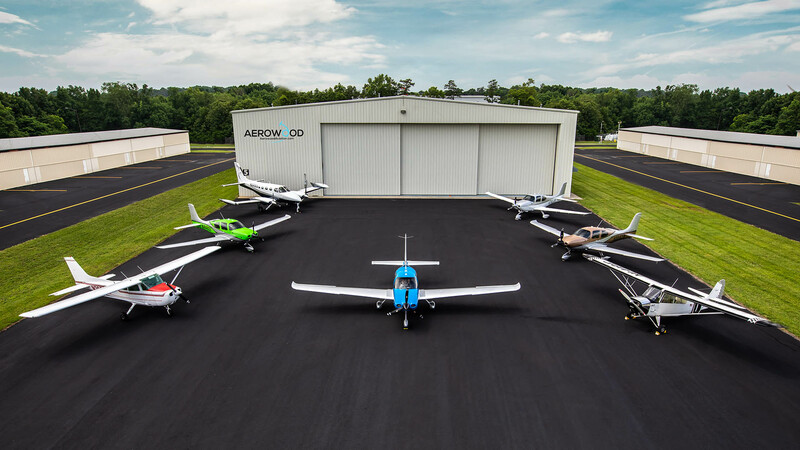 Take to the skies with Aerowood Aviation! Been looking to the skies since you were a little kid? Business owner having to drive across multiple states to conduct business? Driving on long drives to take your family on vacation? START YOUR FLIGHT TRAINING TODAY and save time by traveling by air! One mile of road takes you one mile. One mile of runway takes you anywhere in the world. Whether just for fun, or in order to save your business time and money, Aerowood can fast track your flying success. Our highly trained and personable instructors provide specific training to meet your needs to achieve your pilot dreams. No interested in piloting? Own an aircraft and have our Pilots fly you to your business meetings allowing you to travel quickly, safely, and then get back home in the same day to spend time with your family. Have meetings in your office then travel to an offsite and back for a lunch meeting. Get started today. You'll be surprised how achievable your dream is! A Cirrus Certified Flight Center and management company. We will take you from zero hours to your full ATP (Airline Transport Pilot) certificate and then help you purchase and maintain your own aircraft. With 19 rental aircraft the sky is the limit on where you want to go.